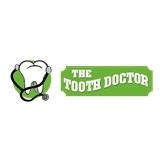 The Tooth Doctor (Shavano Park) - Book Appointment Online! At The Tooth Doctor, our priority is to deliver quality San Antonio dental care to informed patients in a comfortable and convenient setting. Dr. Reddy is always very nice and explains everything very well. No matter what is going on, you always feel comfortable and relaxed at the office.